Ever gazed at a butterfly whispering sweet secrets to a shoe-flower in your garden and wondered what he might be saying to the yellow beauty Is he apologizing for placing his weight on her soft petals Is he reciting poetry to her Or, could he be gossiping about the way the roses next door are flirting with the young rays of the sun, ever so shamelessly Keep wondering...no one knows what he is saying...not even Dr. Michael van der Poorten and Nancy van der Poorten, the ‘Butterfly-couple’ whose book, ‘Butterfly Fauna of Sri Lanka’ will hit the shelves with its launch on June 2 at the Met Department auditorium. Michael and Nancy may not know butterfly-language but they do know everything else you could ever know about the secret lives of the ‘flying flowers’ that bring magic to our gardens, reminding us of Neverland, Tinkerbell and her fairy-friends. Dr. Van der Poorten, who edited the Butterfly Conservation Action Plan of Sri Lanka and authored The Taxonomy and Conservation Status of Butterflies in Sri Lanka in 2012, doesn't quite agree with me, though. He says he and Nancy are ‘not sure about the fairies.’ He prefers to be described as ‘folks who care and appreciate the natural world.’ For butterflies are not their only interests. “We do study moths and many other insect groups, including plants!” he reminds me. 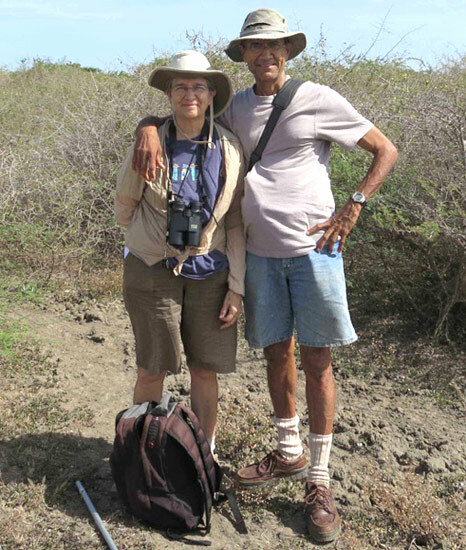 Nancy, who grew up in Canada, but has specialized in the study of the dragonflies of Sri Lanka and has described three species new to science. She is also the author or co-author of several scientific publications on dragonflies, and is co-author of Dragonfly Fauna of Sri Lanka: Distribution and Biology, with Threat Status of its Endemics. 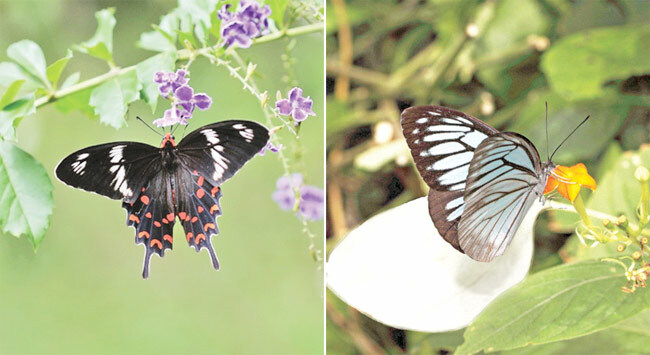 He points out that the most important reasons to conserve butterflies, or any group of plants or animals are scientific and practical because the preservation of natural environments is crucial for the survival of all organisms on earth since it guarantees that ecological processes can continue to function. And they do have secret lives. Do you know how the Blue Mormon woos his lady love He meets her in the afternoon in the forest or in a well-shaded area and hovers over her to show her his vitality. Sometimes no matter how hard he tries she plays the role of the coy mistress and ignores him. “We once observed a female refuse the advances of a male that had hovered continuously for more than 25 minutes,” observes Dr. Van der Poorten. We are lucky that the Van der Poortens who were both ‘smitten’ by butterflies in their childhood have ‘an insatiable desire to understand the complex lives of butterflies’, and have shared the answers they found to the questions that hover in all our minds, (“how do butterflies find their nourishment, why do some butterflies never visit flowers, how do they find their partners or the larva food plant on which to lay its eggs) so generously through this book. 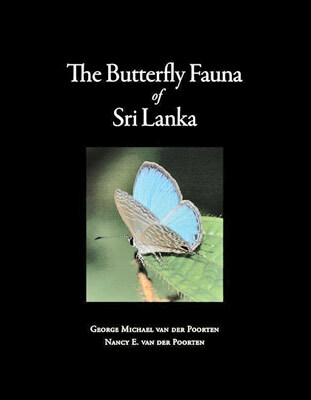 As you read ‘Butterfly Fauna’, if you can spare a few moments to take your eyes away from the amazing photographs to ponder over the vast amount of detail you can gather within the pages, you will realise what a lot of hard work and dedication has gone into this compilation that chronicles the lives of all 247 species of butterflies in Sri Lanka, with descriptions and illustrations as well as the color photographs. I have no doubt the Van der Poortens do not need the Punch cartoon the novelist Valdimr Nobokov, who was also interested in lepidopterology kept over his workbench at Harvard. Even though Dr. Van der Poorten and I don't see eye to eye when it comes to butterfly magic, I know he will agree with me when I say he will readily overlook a dozen dinosaurs to gaze at a butterfly. Am I right, Doc Send me your answer on the wings of a Danaus chrysippus chrysippus alias a Plain Tiger (thanks to your book I know they can be found at anytime of the year in most parts of Sri Lanka).